In this weekly class series, we infuse the 5Rhythms® practice with the somatic teachings from Body Mind Centering™, Laban movement, the Bartenieff Fundamentals and Integrative Body Psychotherapy. As a Certified Movement Analyst, Marcia will support and guide you to resource deep within your body. The classes will focus on using mindfulness techniques, developmental movement patterning and conscious dance to connect and integrate our body-mind. The first part of the class is focused on a embodiment theme which we explore. The second part takes our exploration into a 5Rhythms Wave where we can experience the theme throughout our moving meditation practice. Sweat Your Prayers Open 5Rhythms® Wave class followed by a movement-based healing ceremony. Sunday Drop–in or Pre-register $45 – $30 sliding scale. When people gather in conscious dance practice and connect deeply to themselves and each other, a powerful energy can be co-created. Marcia will guide participants in a sacred movement-based ritual to facilitate personal and community healing. No experience is necessary for either event. All bodies 16+ are welcome. Cancellation policy: Participants who cancel their registration 2 weeks before the workshop will receive a full refund minus a $20 processing fee. If a participant cancels 1 week before the workshop, they receive a full refund minus a 25% processing fee. Less than a week, their refund is subject to another participant replacing them in the workshop: when a replacement is registered, the original participant will receive a full refund minus a 25% processing fee. If a participant does not show up for the workshop without communicating, their payment will not be refunded. Gabrielle Roth was an ecstatic dance pioneer and a visionary. Her discovery and creation of the 5Rhythms moving meditation practice decades ago at Esalen was one of the first awakenings of conscious dance practice. Since then, many other ecstatic dance practices have been spun off of her web. In this one day workshop, we return to the pure essence of Gabrielle’s teachings and reap the rewards of her transformative moving meditation practice. 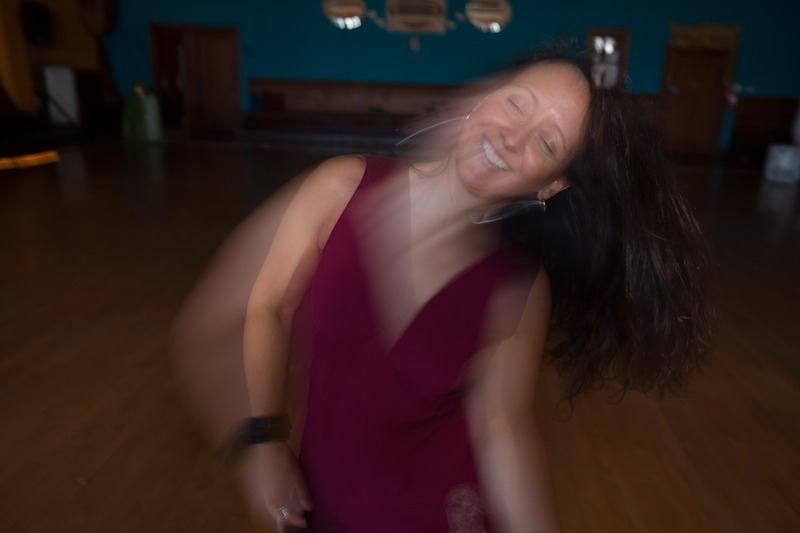 In this workshop beginners and seasoned dancers will have the opportunity to learn and embody each of the 5Rhythms: Flowing Staccato Chaos Lyrical Stillness™. The 5Rhythms can be described as ecstatic dance but it is much more than that. The practice gives us specific tools to unlock our creative soul-spirit and find freedom in our body, heart and mind! Using the body as our tool and gateway, we will discover our personal expression of each Rhythm and how they influence all aspects of our lives. This workshop is an invitation to witness and support each other to explore deeply into the 5R practice – a journey of curiosity, personal revelation and self-healing. the earth, our ancestors, and spirit. Learn to journey to the realms of Non-ordinary Reality using ‘Ecstatic Body Postures’. Dance the ecstatic into this world with the 5Rhythms®. Ecstatic Body Postures are a sacred technology used by our elders thousands of years ago to commune with the world of spirit. Now, to regain access to these realms, practitioners hold a posture from and early indigenous culture. Accompanied by drum or rattle, they enter a visionary trance state. Integrating your trance experience with 5Rhythms® dance brings medicine that opens a doorway to the soul. 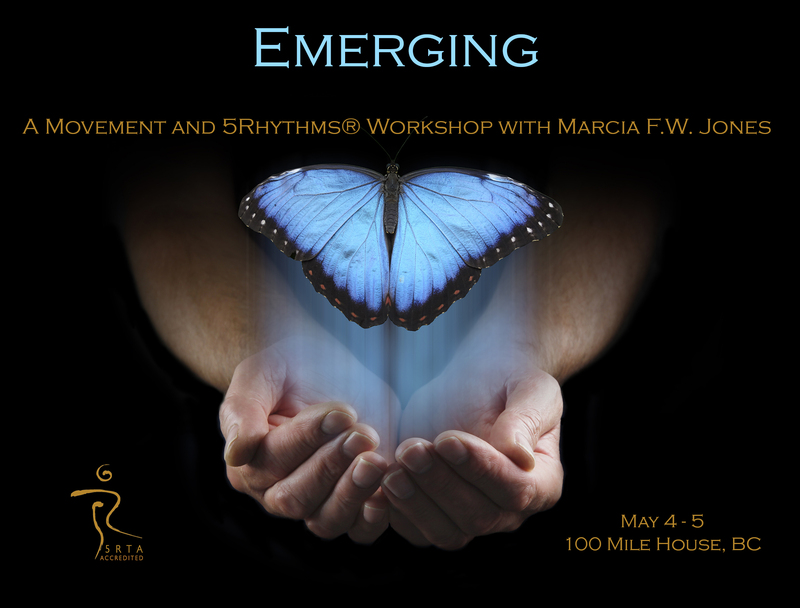 Marcia Jones is a certified 5Rhythms® teacher, shamanic practitioner and somatic therapist. Her passion is facilitating movement to heal and transform the body-mind. She witnesses and honours the sacred wisdom of the body in classes and private practice. Healing artist Tannis Hugill, is a certified teacher of Ecstatic Body Postures. Also a dance and drama therapist, spiritual director and creator of ritual theatre, her passion is witnessing the healing wisdom of spirit as it moves through our amazing bodies. Please note that workshop fees are non-refundable. Credit for future workshops may be extended by mutual agreement. Created by Gabrielle Roth and practiced by tens of thousands worldwide, 5Rhythms® is a philosophy, perspective, performance art and a dynamic movement practice rooted in the principle that if you put the psyche in motion it will heal itself. Movement is both the medicine and the metaphor, reaching across all languages, cultures and age groups to transform suffering into art, art into awareness, and awareness into action.